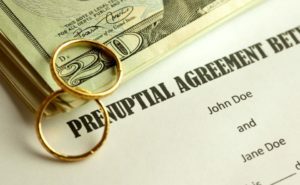 For many Savannah couples, a prenuptial agreement is a smart choice. A prenuptial agreement can help you protect premarital assets and plan for the unexpected, as you enter your marriage relationship. The Savannah prenuptial agreement lawyer at Fargione, Thomas & McRae, LLC draft and review prenuptial and postnuptial agreements. Our Savannah prenuptial and postnuptial attorneys have also litigated the validity of a prenuptial agreement in a divorce for clients seeking to contest or uphold the existing agreement between the parties. At Fargione, Thomas & McRae, LLC, our postnuptial attorneys in Savannah pay close attention to the goals, needs, and circumstances of each our clients when drafting, negotiating and litigating these vital agreements. 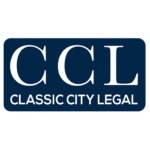 Some cases of Savannah postnuptial agreements involve spouses who may be going through marital problems, but would be willing to try to work it out if they felt that their assets were protected. If both sides can agree, a postnuptial agreement is an excellent way to preserve the marriage while still recognizing these individual interests. 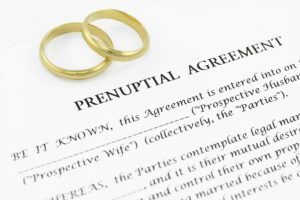 Prenuptial and Postnuptial agreements are very complex, and must be carefully drafted by a skilled family law attorney who is familiar with Georgia law. The Savannah family attorneys at Fargione, Thomas & McRae, LLC are knowledgeable and understand how prior agreements have been challenged in court. They will draft the agreements carefully so that the language is specific in order to protect the individual from future loss. Contact an Savannah prenuptial agreement lawyer from Fargione, Thomas & McRae, LLC today at 833-732-6529 if you need a high quality attorney to draft a pre or postnuptial agreement of any type.